I curated this big retrospective exhibition "R. Crumb's Underground," which ran at the Yerba Buena Center for the Arts in San Francisco last March-July, and is now traveling to the Frye Art Museum in Seattle, opening January 26. Alvin posted these Yerba Buena pre-opening installation shots on his website during the original run, but here they are again for anyone who didn't see them... it also might be of interest for some of the folks who see the show in Seattle to compare and contrast. I spent the week leading up to the opening in San Francisco working with all the great people at the museum on the installation, and I was really proud of how it turned out. It's always tricky working on these comic exhibitions--there's a great deal of responsibility to remain true to the work, while providing a historical/cultural context, as well as bearing witness to the process the originals go through in their functional life. So wall labels must provide a sound framework and lay out organizing thematic principles--without dictating terms. And photos, printed material, roughs, videos, and the like need to deepen the impact while not creating a linear cause and effect/connect the dots dynamic that can become way too overbearing. The proper balance is fine indeed, and you ultimately have to know how to step back and let the art speak for itself: it's of the utmost importance to create a respectful environment for the work and make sure the presentation and background you've devised are intellectually responsible, but then by all means get out of the way (I get the sneaking suspicion that many curators think the work on display is little more than clip art to shuffle around in composition of their grand artistic statement). Anyway, this show in its SF incarnation was the most successful I've ever worked on at navigating these issues, and it was some fun. I can't make it out to Seattle to help with the installation this time, but I'm sure it'll be just as mind-bending there--we managed to secure an embarrassment of riches from many generous private collectors, galleries, and the man himself, so it'd honestly be sort of tough to go wrong--close to 200 originals (mostly ink on paper, 'natch, but also paintings and sculpture), with tons of your favorites as well as some true surprises. The show spans the homemade comics Mr. Crumb did with brother Charles when they were kids all the way to work from the last few years (including many collaborations), with an emphasis on the world-changing late '60s comics and sketchbooks. Oh, and I visited Robert and Aline and interviewed them for an "audio tour" that accompanies the exhibition, so don't miss out on hearing their great stories. 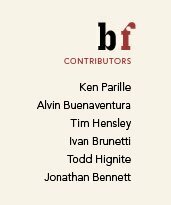 The show will head to the Institute of Contemporary Art, Philadelphia late this year, so maybe some of you East coasters can also check it out. If the folks at the Frye are okay with it, I'll post my wall texts later in case anyone who can't see the show would care to read them. It was a fantastic show, the artwork is amazing, cant wait for the next one. Oh my god, there's a lot of useful information in this post! 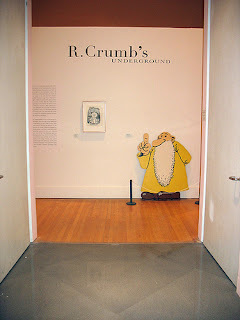 I curated this big retrospective exhibition "R. Crumb's Underground," which ran at the Yerba Buena Center for the Arts there's a lot of useful information in this post! Cheap Guild Wars 2 Gold a lot of valuable details in this posting!